Dr Ghassan Khatib, the Special Envoy of the unelected and unconstitutional Palestinian Authority (PA) President Mahmoud Abbas, last week addressed the Capital Jewish Forum in the Victorian Parliament House. He was introduced by Mr Izzat Abdulhadi, Palestinian Authority Head of Delegation to Australia. Interestingly, too - Dr Khatib seemed to be flagging that September might not necessarily be a firm date. Dr Khatib is well aware that the person who sent him to Australia - Mahmoud Abbas- is not only President of the PA but is also Chairman of the Palestine Liberation Organization (PLO) and its largest factional member - Fatah. Article 5 - Liberating Palestine is a national obligation which necessities the materialistic and human support of the Arab Nation. Article 6 - UN projects, accords and resolutions, or those of any individual which undermine the Palestinian people’s right in their homeland are illegal and rejected. Article 20: - The Balfour Declaration, the Mandate for Palestine, and everything that has been based upon them, are deemed null and void. So Dr Khatib’s boss wears many hats - which focus on the liberation of all of Palestine. Given the above written objectives of the PLO and Fatah - one can only conclude Dr Khatib was being less than honest with his Australian audience. The approach to the UN is without doubt the first step towards the stated goal of these organizations and Hamas - the elimination of the State of Israel - not the achievement of peace between Palestinians and Israelis. He is wrong - there is no alternative to continuing those negotiations - no matter how long they take - if a real peace is to be achieved and the threat of future war is to be averted. If peace cannot be achieved by continuing these long running negotiations (which seems to be the PA view) then there is another alternative proposal to the two-state solution that can be readily achieved in the absence of peace - restoring the status quo as far as possible as existed at 5 June 1967 between Israel and Jordan. 3. 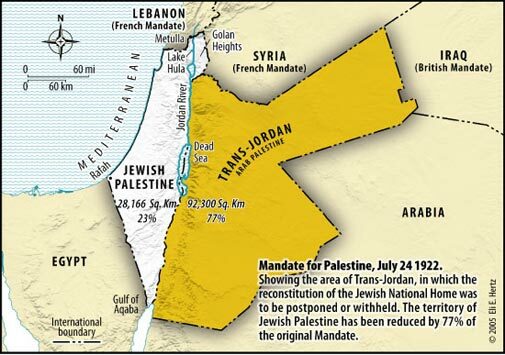 Jewish settlement in the West Bank and Gaza is legally sanctioned by article 6 of the Mandate for Palestine and article 80 of the UN Charter. The road ahead is strewn with potholes. The United Nations is incapable of repairing them - only making them deeper. Direct face-to-face negotiations between the PA and Israel - or the replacement of the PA by Jordan - remain the only ways forward.